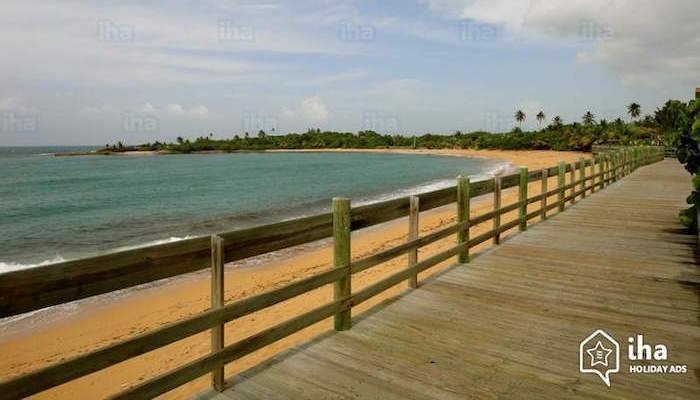 Though technically in Carolina, just outside San Juan, the paved/wooden bike route of the Tablado de Piñones boardwalk is one of your best chances for a long distance run uninterrupted by cars. It follows along the water for about seven miles, so it’s also one of the most scenic and rural routes out there, winding through shady forests and over sandy beaches. The easternmost end of the path is just off Route 187 in Finca Piñones, but this neighborhood is a rural destination that is difficult for tourists to get to. You are better off starting out on the western end near Isla Verde, and you can run for up to 6 miles before turning back. Add-Ons: Nice running along Isla Verde Beach, at the eastern end of the path. The road is lined with hotels, but it’s a good, wide beach for running. Carolina Beach, just west of the path, offers a pleasant 0.7 miles of beach running.